The Easter Egg and Spoon Race takes place on Wednesday March 31st 2010. 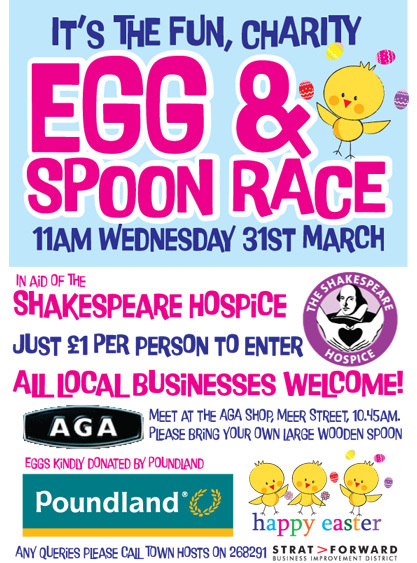 The Aga Shop on Meer Street have organised the Egg and Spoon race in support of The Shakespeare Hospice. 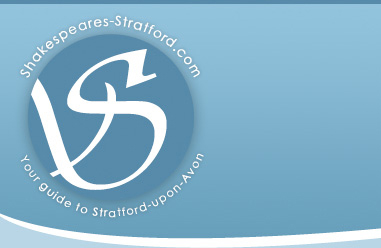 Local businesses are encouraged to join in the fun and celebration of Easter. If you would like to join in please meet the Aga team at 10.45am and don't forget to bring your wooden spoon!